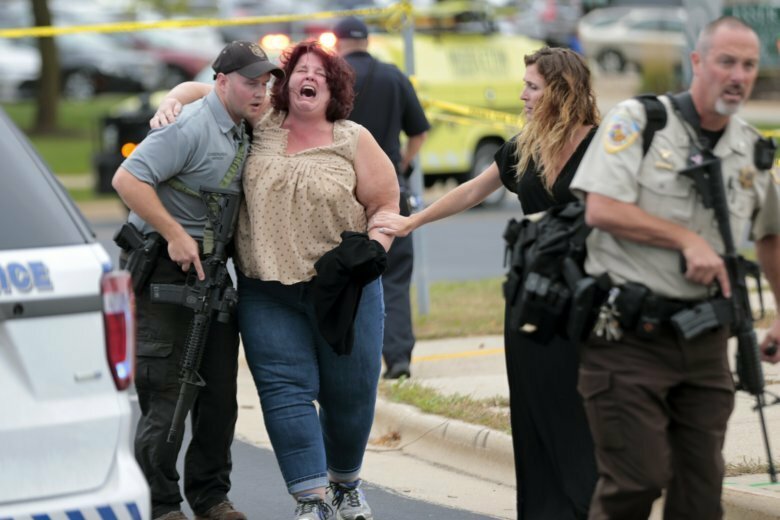 MIDDLETON, Wis. (AP) — The gunman in a Wisconsin workplace shooting was taken to a mental health hospital and barred from buying firearms 14 years ago after telling South Dakota police that his co-workers were “talking bad about him” and his neighbors were spying on him, according to court records. WTS Paradigm employee Anthony Tong opened fire with 9mm semi-automatic pistol inside the company’s Middleton headquarters Wednesday, seriously wounding three co-workers and grazing another. Police rushed into the building and killed Tong in a shootout just minutes after the attack began. Tong’s motive remained a mystery Friday, and Police Chief Chuck Foulke cautioned against jumping to the conclusion it was a mental health issue. WTS Paradigm said in a statement that he had been in good standing at the company. Foulke filled in bits of the 43-year-old Tong’s background, saying he moved from South Dakota to Madison in March 2017, a month before he started his job with WTS Paradigm. The chief said he didn’t know what Tong was doing for a living before moving to Wisconsin. “It absolutely seems as though with some loophole he was able to get that firearm and he should not have been able to do that,” Foulke said. According to South Dakota court records, the manager of Tong’s Sioux Falls apartment complex called police in August 2004 because the fire alarm had been disconnected in Tong’s apartment. Officers handcuffed him and found a .40-caliber pistol under his shirt. They also found a can of pepper spray and a folding knife on him. In the bedroom they found an AR-15 rifle and hundreds of rounds of ammunition. Tong told them he needed the guns for protection. “Defendant made statements that there were people at work that were talking bad about him, but would not elaborate,” the affidavit said. He was taken to a hospital’s mental health unit on a 24-hour hold. Court documents indicate he was served papers at a state-run psychiatric hospital that September. That suggests he was a patient, although a state social services spokeswoman declined to confirm or deny whether he was hospitalized there, citing privacy protections. A state judge revoked his concealed-carry permit two months later. “There’s something unique about that weapon that they’re having trouble finding out where it came from and what hands it passed through,” Foulke said. He declined to elaborate. The returned search warrant shows state agents recovered a cache of gun parts as well as several boxes of ammunition from Tong’s Madison home. They also recovered three bulletproof vests, a ballistic helmet, two muzzleloaders and a pellet gun, along with unspecified medication and multiple computers. Nord reported from Sioux Falls, South Dakota.